This is a famous Hungarian Kart track. Location: Siofok (Hungary), Aranypart. Current version release date: 2012.07.24. There are currently no setups for Gokartbalaton. Add a Setup. Really nice track, I love it! The pit should be fixed, the karts outside on the grass are weird, and the buildings aren't the same as on the loading screen photo. But the track itself is really great! Good job! Unfortunately I didn't try it out real-life. 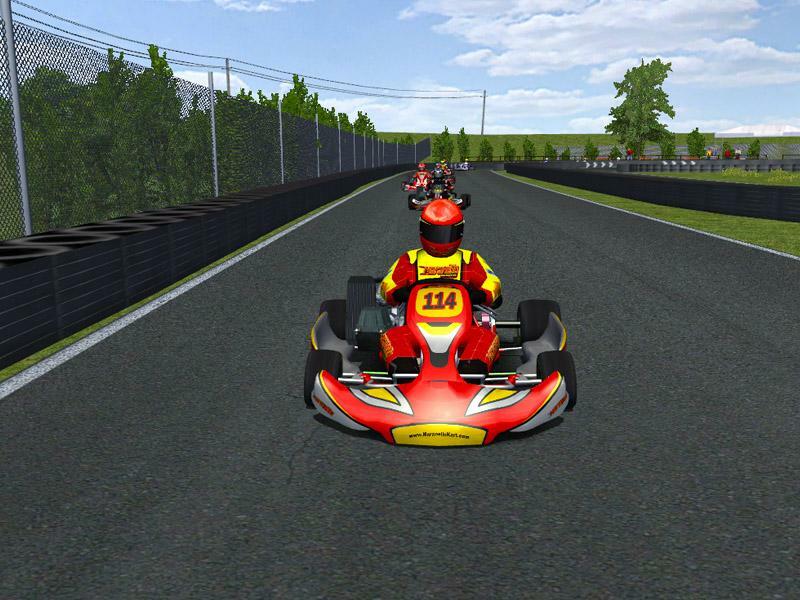 Which rFactor gokart pack do you recommend for this track? Nice little track, very good for rental karts, but a bit to small for racing karts. This track looks good in rFactor, but the karts on the green have trouble to find their way to the track. Maybe their garage position should also be in the pitlane, as on the original track on the loading screen. @Holdkoros: That's exactly where I put it. I'll try again. Edit: My error. A thousand pardons! Goes nicely, especially with the Rotax Max mod. Excellent work. I do wish you'd compile all those .DDS and .GMT files, tho. For all: The track is recomended for 8 players (Like real world)!